Stuffy, dust-heavy air need not be a fact of life in winter. This year, pursue a healthy, invigorating environment with a suite of improvements designed to help you breath easy at home. This season, as temperatures drive lower and lower, it’s only natural for people to retreat into the safety and comfort of their warm, inviting homes. There’s only one problem: With the doors closed and the windows tightly sealed—in other words, with a lot less fresh air circulating throughout the home—many complain of dry, stuffy, and overall unpleasant conditions. Others harbor genuine health concerns, based on reports that a wide range of household products and furnishings release impurities that can linger in the air. 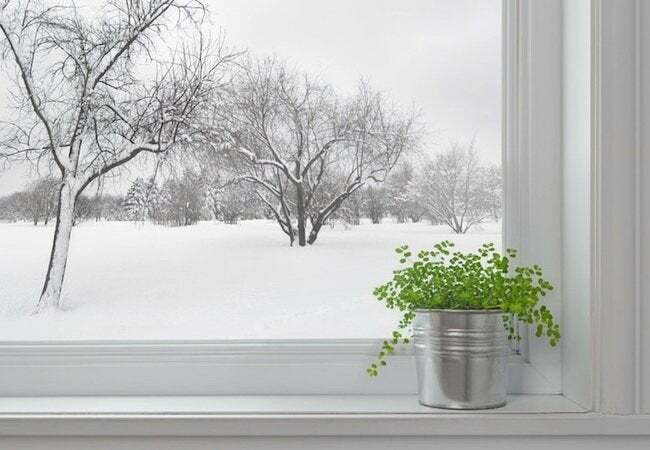 Fortunately, if you wish to maintain a comfortable, healthy home, not only during the winter, but year-round, you’ve got a number of options. You don’t have to worry over choosing the right strategy, either. As homeowner awareness of the issue has risen in recent years, so too has the number of companies that address indoor air quality concerns. Sears Home Services, for instance, routinely offers free in-home consultations, with experienced professionals able to guide you toward an effective solution. David Kenyon, an HVAC specialist with the company, summarizes, “There’s no single approach that works every time.” The challenge is to strike upon the “correct combination” of measures that, working in tandem, “make a real, noticeable difference.” Read on to learn about three improvements commonly recommended by Sears. “In terms of maintenance, the average HVAC system isn’t so different from a car,” says Kenyon. “For peak performance, the hardworking internal components often require replacement or repair.” Without care and attention, heating systems fail to operate as designed, and in homes heated by a furnace, indoor air quality may suffer. The reason is that, while every forced-air furnace contains a filter, not every filter works equally well to take dust, germs, and other particulates out of the air. If you haven’t checked yours in years, there’s a good chance that it’s a traditional fiberglass filter. While good enough to protect the heating appliance, such filters do little to protect the air you breathe. Newer, better-quality furnace filters catch even microscopic impurities, removing them from circulation. There’s a catch, though. Kenyon says that, compared to their fiberglass forebears, “high-efficiency filters must be cleaned or replaced more often, about every three months.” That’s one of the reasons why many homeowners schedule regular system check-ups with a provider like Sears Home Services. 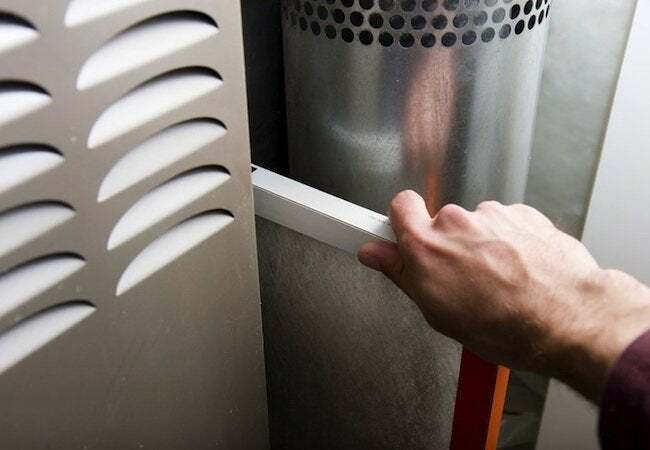 At your request, in addition to inspecting the appliance, technicians are able to clean or replace the filter, ensuring the furnace plays its part in purifying the indoor air. If you’re like most people in homes with forced-air heating, you rarely consider the network of ducts engineered to channel air from the furnace to your living spaces. It’s well worth taking a second look, though, if you’re dissatisfied with your indoor air quality. 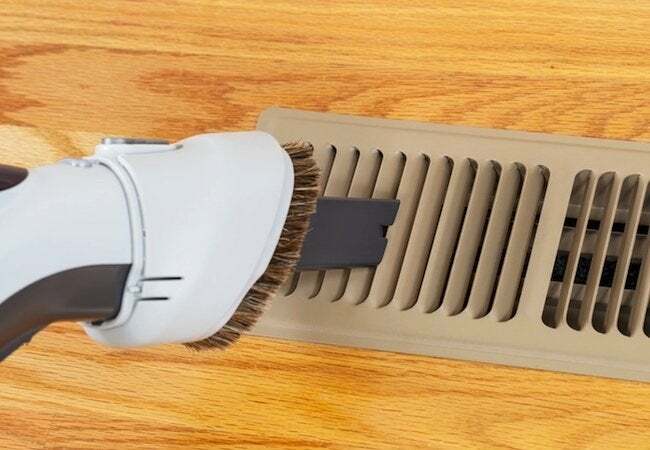 According to Kenyon from Sears, “ducts are notorious for collecting and distributing irritants and allergens.” You can try to corral things like dust and pet dander before they enter the ductwork and spread, but “it’s always going to be a losing battle,” Kenyon says. After all, he continues, “dust is ubiquitous.” So what can be done to prevent ductwork from exacerbating indoor air quality problems? Grab a flashlight, choose a room, and, after removing the grate from the return register, peer inside to assess. If you notice an accumulation of dust and debris, “that may be why you’re sneezing all the time,” Kenyon says. It may be tempting to try cleaning out the ductwork on your own, but special tools and techniques are needed to do a comprehensive job. For instance, Sears Home Services utilizes truck-mounted suction equipment. If you’re convinced your dusty ducts are part of the problem, seek out a local pro or book online with Sears today. To remove the toxins that are invisible to the naked eye, health-conscious homeowners often opt for an air purification system, be it a standalone or an add-on to the central HVAC system. The upside of working with a nationwide company like Sears Home Services is that, unlike many smaller outfits, Sears routinely installs air purifiers of all types and, well versed in their differences, the company can help you choose the best approach for your home. 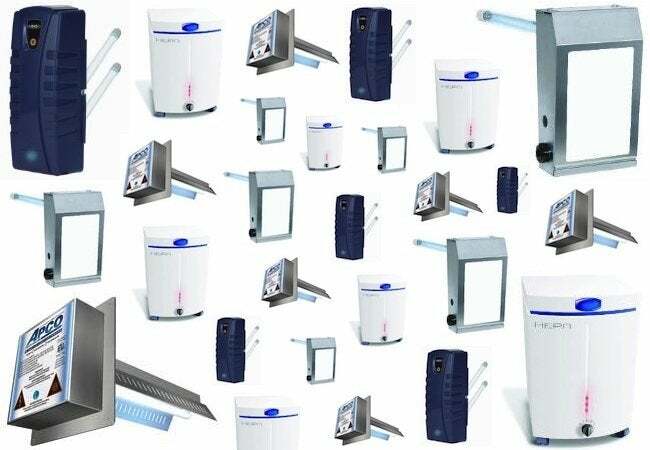 “Different air purification systems rely on different technologies, each with its own set of pros and cons,” says Kenyon. Some use ultraviolet light, while others employ high-efficiency particulate arrestance (HEPA). Still others—namely, photo catalytic oxidization (PCO) systems—combine multiple technologies in one. After an initial consultation and survey of your home, Sears specialists can handle the process from start to finish, recommending and installing a purification technology whose capabilities correspond to your specific indoor air quality concerns.